I am slowing amassing a stockpile of Nintendo 3DS games and I didn’t fancy having to carry around the containers for each separate game as they just end up taking up more space in my backpack. I was also wary of just chucking the cartridges in my backpack to float around and potentially fall out as I remove and replace items. Anyway, I picked up one of these plastic game holdersoff eBay for under AU$2.50 and the build quality is very good to say the least. 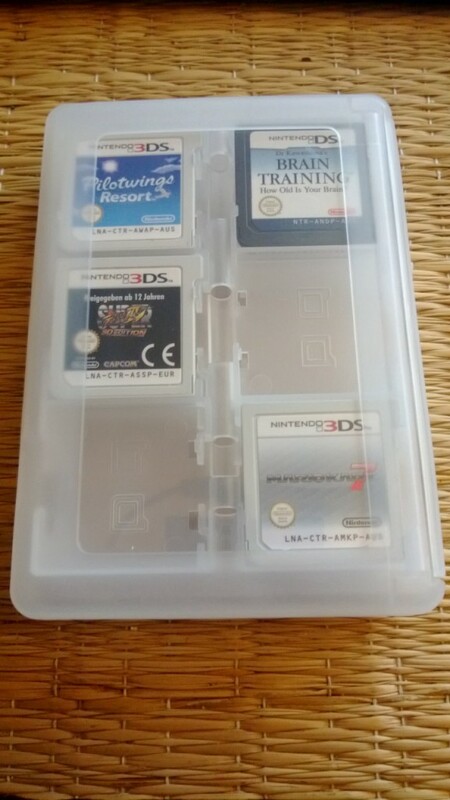 Both Nintendo DS and 3DS games snap in securely into each socket with room for up to twenty two games, two SD cards and two styluses. It’s small enough to stash in a backpack or handbag which may be ideal for looking after games for kids who may be prone to misplacing games or if you just fancy being more space efficient with carrying around your favourite games.